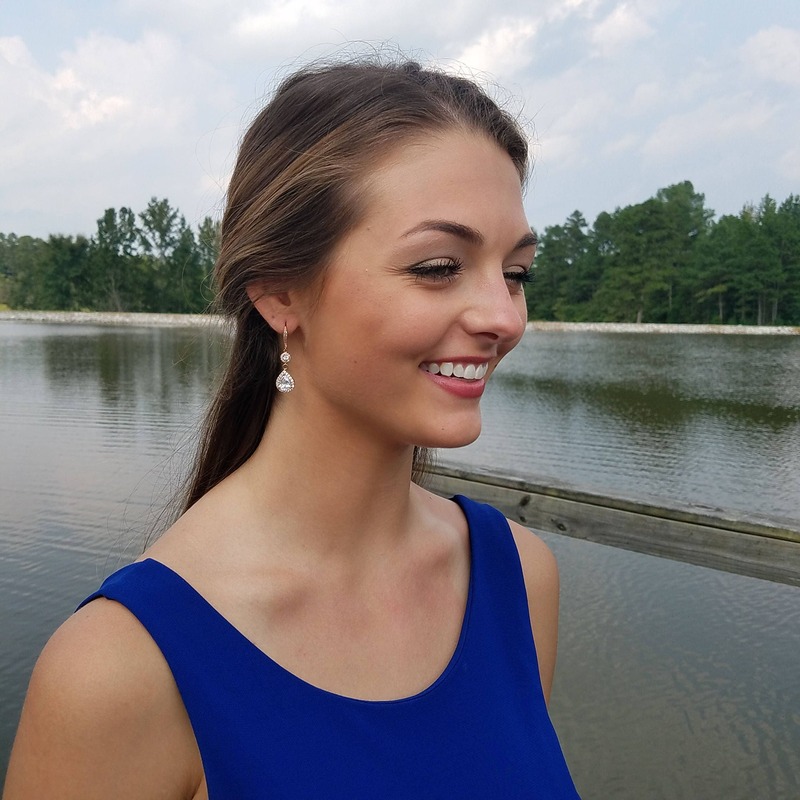 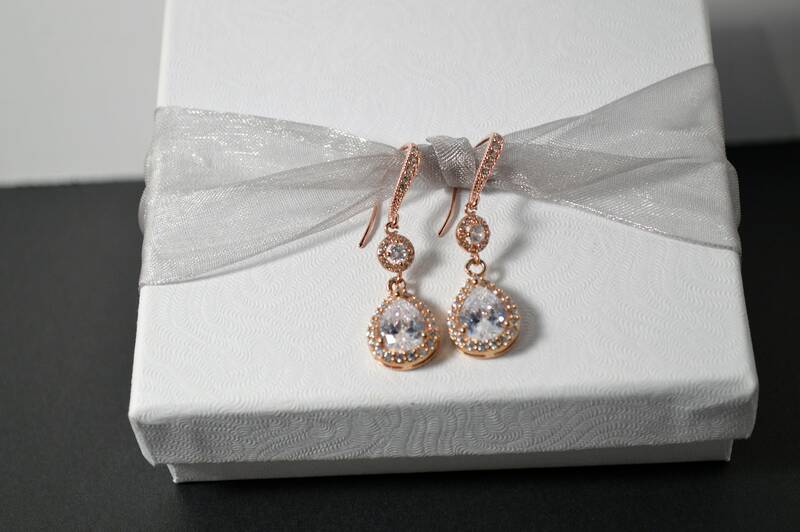 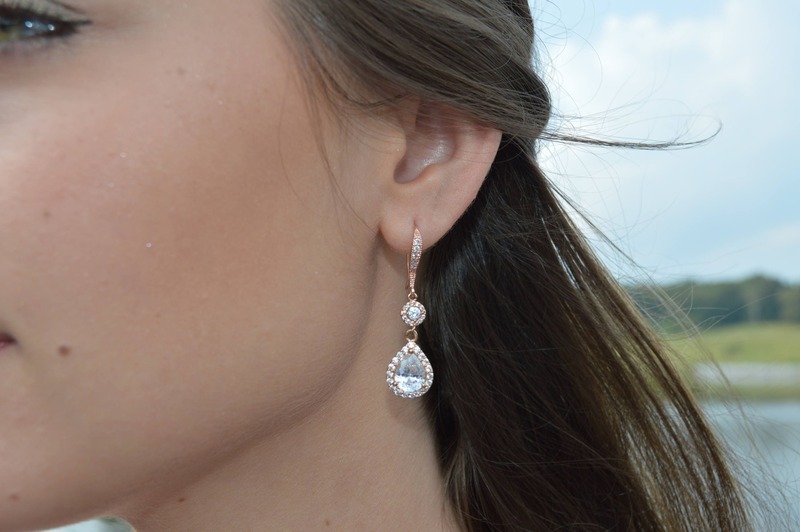 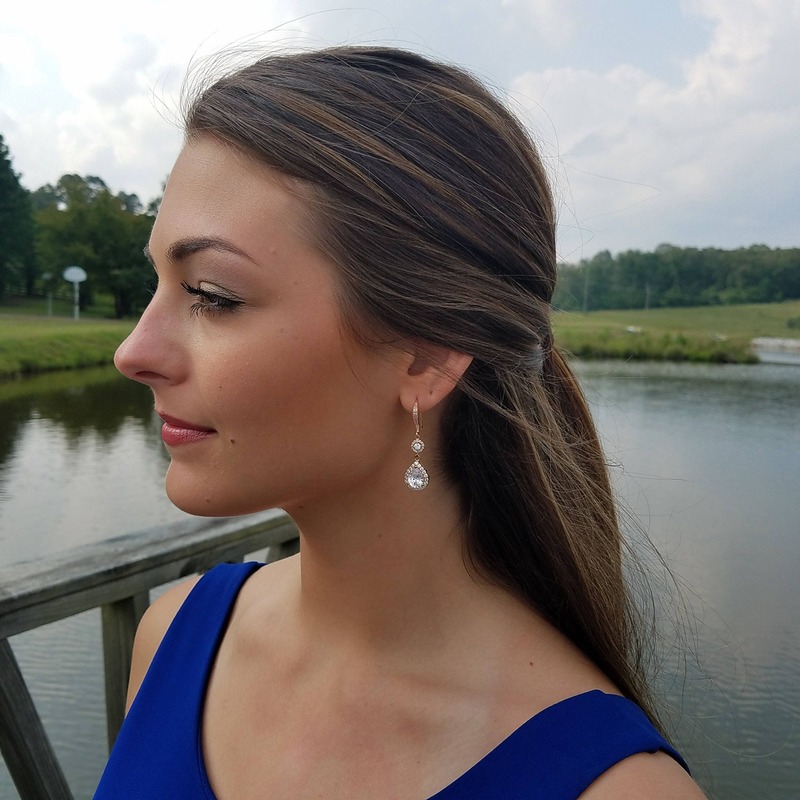 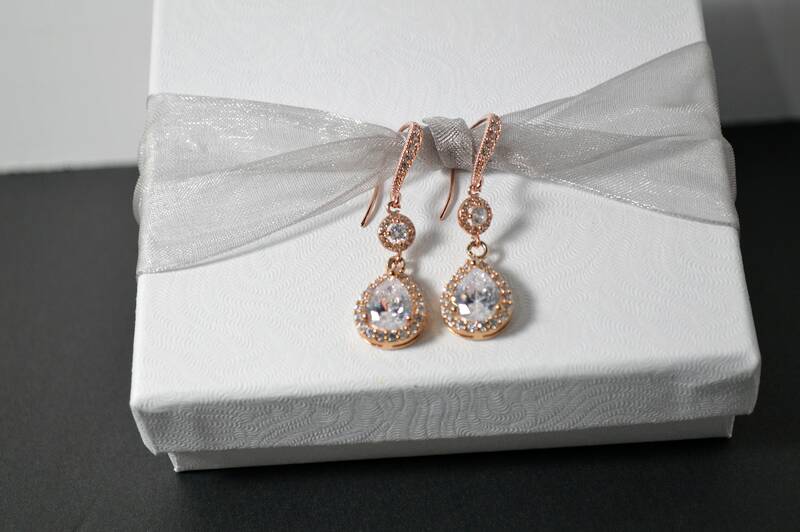 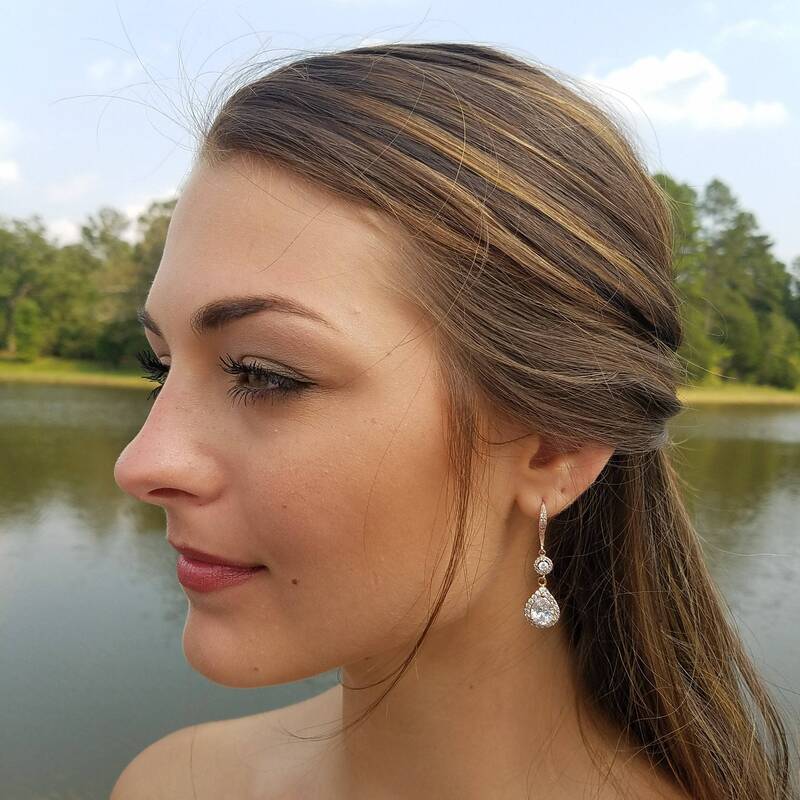 Brides....picture these beautiful Rose Gold Drop earrings to compliment your wedding dress! 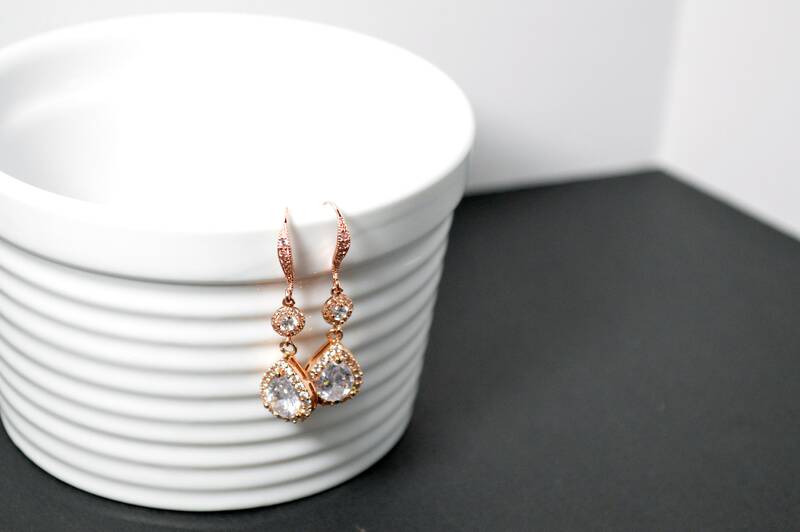 These earrings feature stunning crystal pave teardrop pendants with an added delicate drop connector and amazing curved hook ear wires embellished with clear cubic zirconia stones. 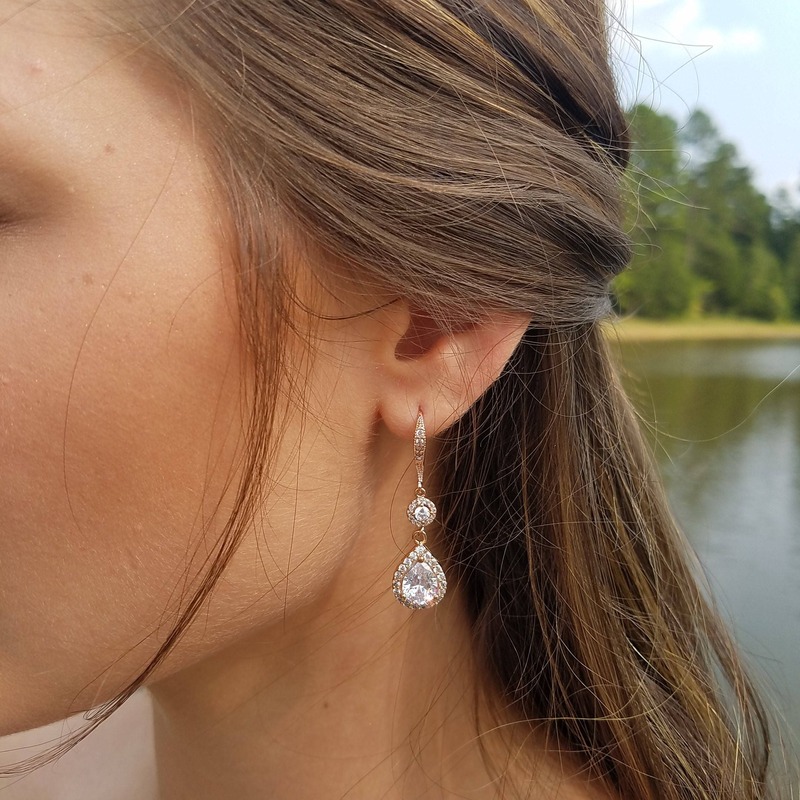 -Please message me to discuss these custom options.